Despite a current deficit-reduction priority, the UK has announced personal income tax cuts in its recent Budget 2013 address. In his statement, British Finance Minister George Osborne elaborated on measures to reduce the tax obligations of different income groups. Under the proposed measures, the personal allowance – i.e. the income that an individual earns before the basic tax rate kicks in – will be raised to £10,000 (S$18,874) with effect from April 2014. 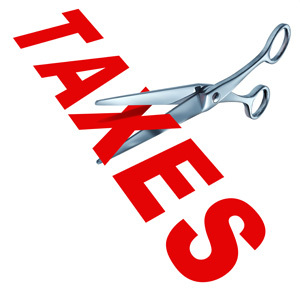 This means that approximately 3 million residents will no longer pay income taxes. Congruently, the higher-rate tax threshold will be revised as well. It will be reduced from £42,475 (S$80,102) to £41,450 (S$78,169) for 2013/2014 but will rise to £41,865 (S$79,000) in April 2014 for 2014/2015. Moreover, the “additional rate” of 50% imposed on individuals earning £150,000 (S$284,000) will be trimmed down to 45%. According to Singapore taxation specialist Rikvin, targeting high income earners is consistent with the UK’s attempt to position itself as an attractive tax environment, particularly for the wealthy. It can be recalled that last year, Prime Minister David Cameron openly invited French HNWIs (high net worth individuals) to move to London to flee France’s elevated tax framework. Despite these recent tax-reduction measures, however, UK’s tax rates for the majority of wage earners remain comparatively high vis-à-vis the progressive Singapore personal tax system and other friendly tax regimes. Those with annual incomes above £10,000 (S$18,874), for example, will pay upwards from 20% to 40% in taxes in the UK; whereas 20% is the maximum Singapore tax rate for the top income bracket.